"Doing Magento Development with one hand tied behind your back" - the guys break it down and get real about Magento 2.3, the "Marathon Masters" program and more. Listen now! 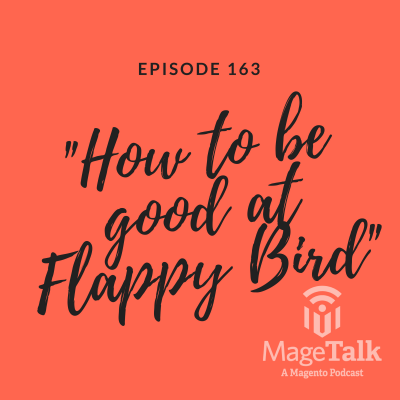 “Doing Magento Development with one hand tied behind your back.” Kalen opines whether college is valuable for Magento developers, the guys break it down and get real about Magento 2.3; PLUS a review of the “Marathon Masters” publication – and more! Listen now! "Why is Magento Enterprise so expensive?" Kalen and Phillip argue the finer points of a controversial topic. Kalen coins a catch-phrase, and Phillip forgets a real microphone and his beard mucks up the audio for the entire episode. “Why is Magento Enterprise so expensive?” Kalen and Phillip argue the finer points of a controversial topic. Kalen coins a catch-phrase, and Phillip forgets a real microphone and his beard mucks up the audio for the entire episode. 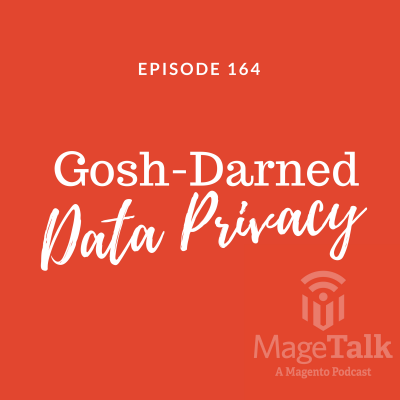 Kalen does his best Bill Clinton impersonation, the guys rap about GDPR - and we interview Kuba Zwolinski of Magebutton and Snowdog fame about the Magento Innovation Lab and how B2B can benefit from the Internet of Things. Listen now! 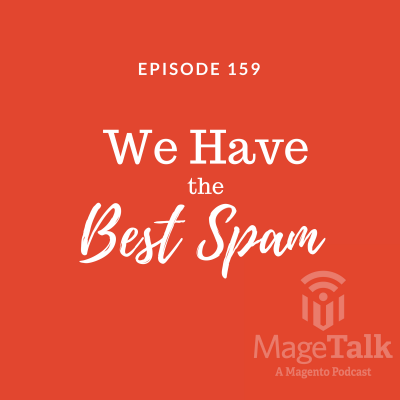 Kalen does his best Bill Clinton impersonation, the guys rap about GDPR – and we interview Kuba Zwolinski of Magebutton and Snowdog fame about the Magento Innovation Lab and how B2B can benefit from the Internet of Things. Listen now! Kalen gets new glasses, will he finally see the light? 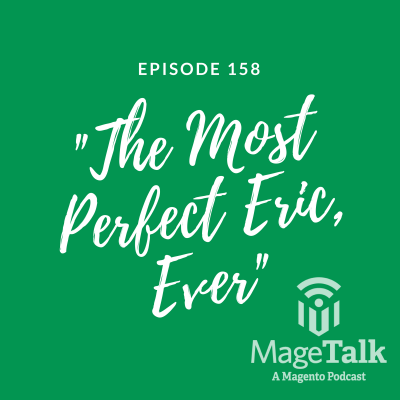 PLUS an interview with Erfan Imani, accomplished Triathelete and developer of the Magento Innovation Lab-recognized Speqs augmented reality commerce experience. Kalen gets new glasses, will he finally see the light? 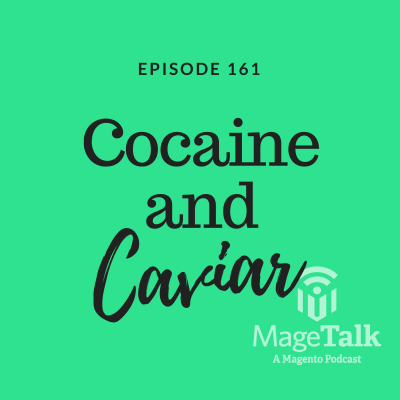 PLUS an interview with Erfan Imani, accomplished Triathlete and developer of the Magento Innovation Lab-recognized SPEQS augmented reality commerce experience. 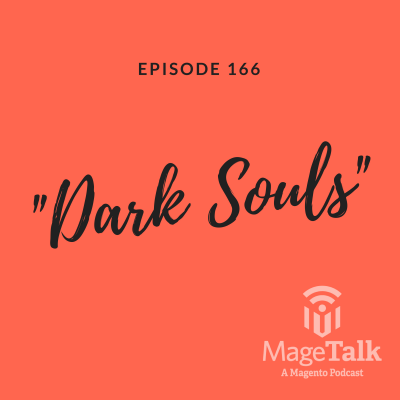 Also – a MageTalk First – a swear word appears (gasp!) in the second half of the show. You’ve been warned! 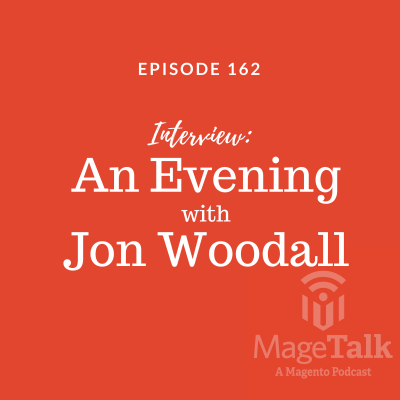 The guys sit down with Jon Woodall of Space 48 to talk B2B, the challenge of professional services, the growth of Mage Titans, and employing Magento Masters. Listen now! Today’s special guest is Jon Woodall (@Jon_Woodall), the Managing Director at Space 48, back for the third time. Space 48 is a Magento Enterprise Partner from Manchester. The guys rap about #magentohatmonday as the best of the Magento Community, Imagine MC Duties fall to Phillip, "Winkling" Conversion Rates, Healthcare Startups for Magento. The guys get down and dirty on #magentohatmonday – which is truly the best of the Magento Community, Imagine MC Duties fall to Phillip, “Winkling” Conversion Rates, Healthcare Startups for Magento. The boys start off the episode with some social lubrication tips and a few examples of deeply moving poetry. Kalen realizes that Australia is massive. The guys make a HUGE announcement. Phillip explains the super blue blood moon. The boys give some statistics on the Podcast for this month. Kalen shouts out to a Magento Developer named Adam out in Israel who is a regular listener to the show. Phillip breaks down all the adjectives in a Super Blue Blood Moon and what they mean (it only happens once about every 150 years). Kalen gives a shout out to Tony Guerrero (@tguerrero54) at Zilker Technology whom he had lunch with recently. They’ve recently been jumping into Magento stuff from the Websphere world. Check them out. Phillip mentions Rebecca Brocton (@RebeccaBrocton) and David Manners (@mannersd) who are kicking off the Magento Mental Health Initiative. They are looking to open source mental illness along with more amazing things. Head over and see what’s happening. Joshua Warren (@JoshuaSWarren) takes us back through our email histories to kick off #RoadToImagine. How far back do you go? Here’s something fun for the #RoadToImagine – check when your journey began by searching for the oldest email you have that mentions Magento. For me, it was on November 15th, 2008 and fittingly, the subject line was: "Magento Commerce is now following you on Twitter!" Last year, Mark Lavelle (@mklave1 promised that Magento would help sponsor some community members who have never been to Imagine to come to Imagine. Click the link to vote for outstanding community members that you think should get to experience Imagine for free. @MageTalk Each yr, 10 ppl nominated by employees go to Imagine. Will sponsor 10 more in '18 nominated/supported by Magento Community. Deal? Kalen gives a shoutout to Raul Watson (@diazwatson) as a nomination for a Spirit Award. 15:00 Technology in Search of a Solution? Kalen says no. Kalen brings up GraphQL as a way to work around some of the difficulties surrounding upselling post-purchase. Find out how. Phillip whips out his notepad for lots of product improvement ideas. Do you find any of these useful? 20:30 Can Kalen Build It? If you have an idea for what Kalen can build, head over to MageTalk.com and fill out the contact form. Kalen lists off some of the roles that are open through Commerce Hero. Are you right for any of them? Kalen has so many ideas today. Here his thoughts on how to get feedback on potential hires. From an App. Cool. Why is everybody so excited about re-implementing all of eCommerce? The boys lay into the ins and outs of PWAs. In just a few weeks, Reacticon is happening. Will you be there? The boys go through the list of this year’s Magento Masters. Just how big is Australia? The episode gets its name. Magento Certification Training Platform. Could this be something that works? Is there a need for another form of training? The guys discuss these implications. Dotmailer is doing more personalization than anyone. Find out how personalization can impact your business. Is this the AI discussion of the week? Open Source Order Management. Phillip has been rounding up open source technologies. Hear how these technologies will work together to improve order management. A shoutout to David Gitman(@dgitman) who was one of the first investors in Sigmento. He has an eCommerce Accelerator now. 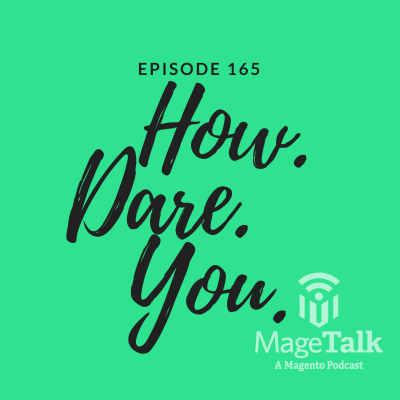 Check it out..
"24% of code delivered in Open Source was via the Magento Community" the guys dissect a blog from Magento CEO Mark Lavelle and recap Magento's Sales Kickoff! Listen now! 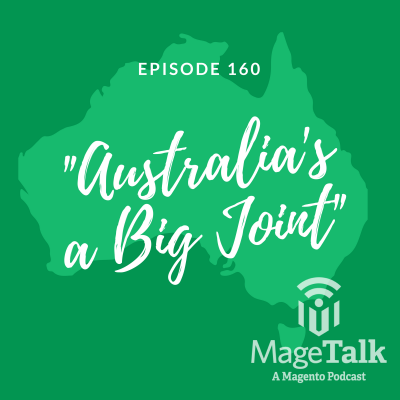 “24% of code delivered in Open Source was via the Magento Community” the guys dissect a blog from Magento CEO Mark Lavelle and recap Magento’s Sales Kickoff! Listen now! 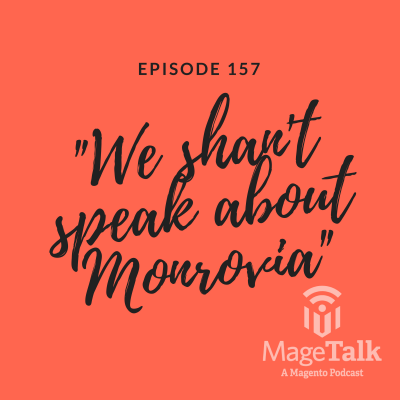 Phillip and Kalen talk #magemh - an initiative to raise awareness for mental health in our Magento community. Plus: Kalen craps on one of our sponsors, NRF2018, Time Tracking software and Tensorflow/AI/ML. Phillip and Kalen talk #magemh – an initiative to raise awareness for mental health in our Magento community. Plus: Kalen craps on one of our sponsors, NRF2018, Time Tracking software and Tensorflow/AI/ML. Kalen disses one of our sponsors. That’s pretty normal for him, though. First episode of 2018 means reviewing community predictions! Kalen moves to Austin, Mage2.TV launches; new agency talent and what the heck is a neural network? 2018 Predictions – Tim Bezhashvyly Edition???!!! Meet Magento India 2018 – Wagento killing it!